CTDI has agreed to lease an entire 706k sf distribution facility in Forth Worth, TX. The property, located at 1753 Chaplin Dr, is owned by Transwestern Investment, who purchased the building in December 2018 along with another facility at 15453 Wolff Crossing. Completed in December 2018, the property offers a 36-foot clear height and convenient access to Interstate 35 West and U.S. Route 287 via Texas State Highway 114. Located in the Alliance submarket, it is approximately 20 miles from Dallas/Fort Worth International Airport. The Alliance submarket is home to a large master-planned, mixed-use community developed by Hillwood. It is anchored by the Alliance Global Logistics Hub, which includes BNSF Railway and Union Pacific’s Alliance Intermodal Facility. 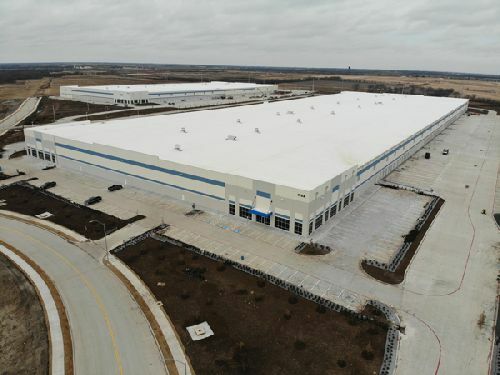 The Northeast Tarrant County/Alliance submarket has seen significant activity this cycle, with 2 msf of industrial space currently under construction, according to market research from Transwestern Commercial Services. The high amount of speculative construction has pushed the overall vacancy rate above the Dallas-Fort Worth average, but a sharp uptick in fourth-quarter absorption shows an appetite for new construction, such as 1753 Chaplin Drive. CTDI has more than 90 locations worldwide, including four in Texas. Founded in 1975, CTDI is a full-service, global engineering, repair and logistics company providing best-cost solutions to the communications industry. CBRE’s Nathan Lawrence and Krista Raymond are providing industrial leasing services on behalf of TIG.